Always wondered if we are using all of our mind power? 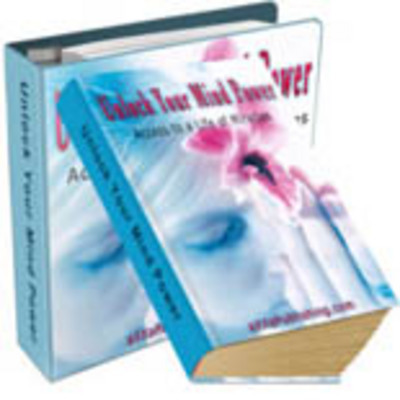 Here is a great book on how to be able to exploit all your mind power! I felt the same way a few years ago. I desperately longed to achieve more success in my personal and professional life but just didnt have the time to pursue it while working two jobs and going to college as well. My dreams just wouldnt go away; however, and I knew I had to do something. Thats when I decided I had to find out the right way to pursue my dream. I knew I owed it to myself! Introducing ...Unlock Your Mind Power! Ultimate Law Of Attraction Secrets Pack + 2 Mystery Bonuses!